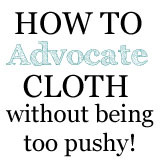 Cloth Diaper Tip: Advocate Cloth, But don't come on too strong! We know, you LOVE cloth diapers and you want to shout it from the moutaintops until everyone becomes a convert! The problem, not everyone can be converted or convince with the same technique and information. When advocating cloth, it's important not to come on too strong. Having a baby is expensive. And in these times, some people find it almost unbearably expensive to afford everything that is needed for a baby. Diapers are at the top of this list. They are just not cheap. But, you can buy cloth diapers to save money so that you can afford your baby. FAQ: What do I need? Okay, so you’ve decided to cloth diaper probably because you know you’ll save thousands doing so not to mention the fact that you’re helping the environment and your baby’s precious skin. But what next? What does cloth diapering your baby entail? The stash. 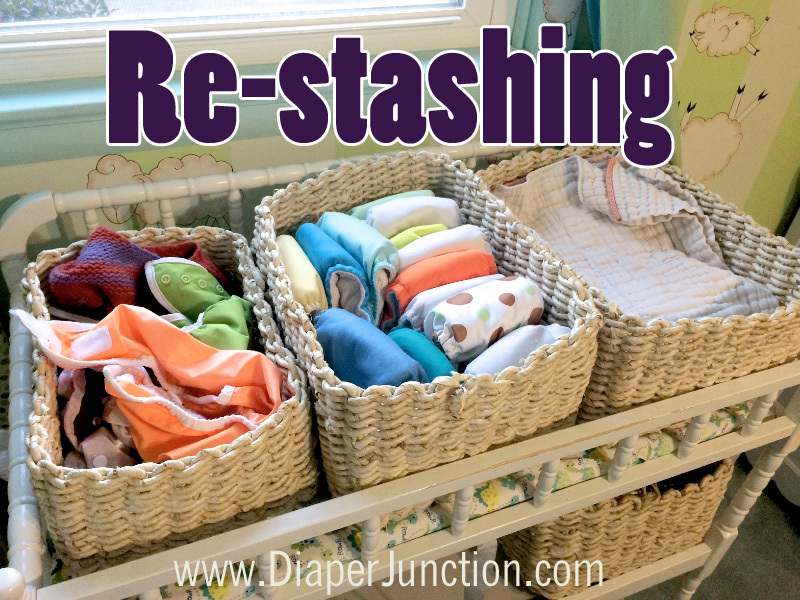 You need a stash of diapers that will suit your cloth diapering needs. The amount of diapers you should have will depend upon whether or not you will be using cloth diapers full time or part time. A newborn will soil 8-12 diapers a day and an older child will soil 6-8 diapers a day. I would suggest that you need enough cloth diapers to get you through at least two days of diaper changes if you’re going to cloth diaper full time. If you are going to do it part time, any number of cloth diapers will help keep your disposable diaper bill down. 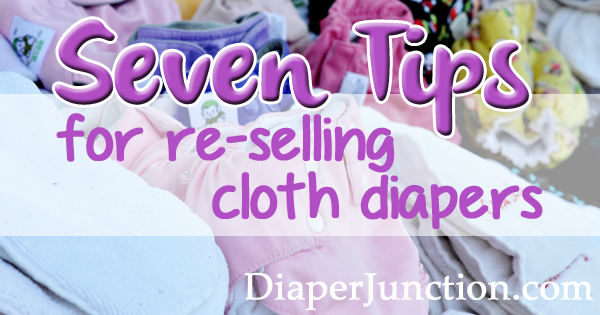 Even if you only use three cloth diapers a day, that means you won’t have to buy 90 disposables that month. Do Diaper Services Use Chinese Prefold Diapers? Many people that are interested in cloth diapering come across the idea of a diaper service. They are very interested in this idea, but they tend to have one question when they are considering opting for a cloth diaper service. This question is: do diaper services use Chinese prefold diapers? As I have been walking down this journey of parenthood, I have been given the opportunity to experience some very powerful emotions. I think that the most surprising one is that of addiction. I mean, they're just diapers.....right?! I know that this is a common feeling, though, as I am meeting and talking to other cloth diapering parents. I think that it is an interesting anomaly. You may be surprised to learn that certain diapers can grow with your baby from the earliest days until the toddler years. This smart design really helps your budget, because you only need a single stock of diapers instead of replenishing your supply two or three times. A carefully designed system of snaps or hook and loop tape makes adjustability quick and simple. One size cloth diaper selections are available in a variety of styles. This means that you don't have to give up a style that works well for you in exchange for moving to size-adjustable versions. You won't give up anything with regard to quality, either, because many of the best-known manufacturers now offer this convenient option. You'll find single-size fitted, pocket diaper, and other variations in attractive colors, so spend a few minutes today browsing our complete selection. This could be the budget-saving solution that you've been seeking. The purchase and use of cloth diapers helps to protect our planet. Many families also find cloth diapers more economical than disposable diapers. For others the use of cloth diapers may be due to fewer diaper rashes or allergies. Regardless of the reason families choose cloth diapers, one major obstacle can be "What to do about Daycare?" Beat the high cost of disposables - Cloth Diaper your baby! You can beat the rising cost of disposable diapers by choosing to use cloth diapers on your baby. 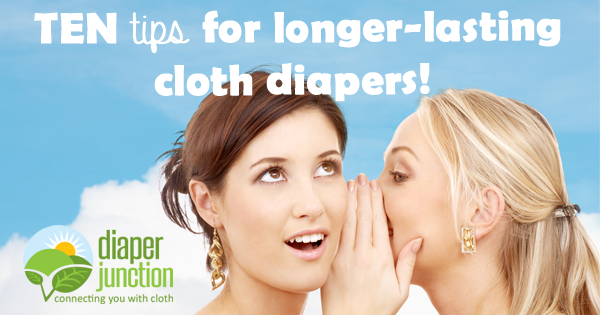 Learn all about cloth diapers and why you should make the switch to cloth diapers today! 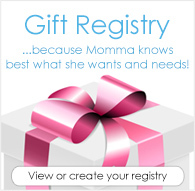 Let Diaper Junction help you. Full time Cloth Diapering costs too much? Cloth diaper vs. disposable....Yes diaper for diaper the cloth diaper is more expensive. But when you compare the overall cost savings, cloth diapers clearly come out on top. Compare your costs and discover your savings.